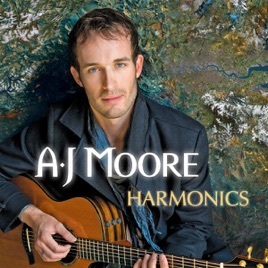 Harmonics is a fabulous album of original songs and you are hooked from the first track. Wherever you choose to listen to the beautiful songs on Harmonics you will not be disappointed. Harmonics is the perfect album for chilling with friends of just chilling out with a glass or two of wine. The album starts with the catchy 'Moving on' you are then drawn into more beautiful music with the lovely 'Two days away' 'Dreaming' 'Take it all away' 'Time and again' to name but a few 'You want me' it's almost impossible not to bop along to this fabulous track. There are beautiful songs on Harmonics which you will love to listen too over and over again. 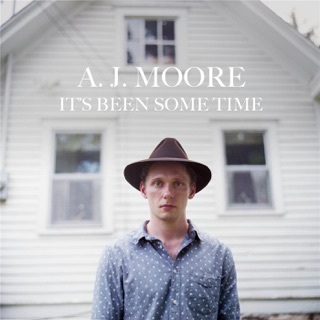 This is a wonderful addition to any music collection well done to A.J.Moore on the fabulous Harmonics everyone should own this album. I have been fortunate enough to see these guys play over the past few months around the smaller venues of London, and have been delighted by the beautiful songs, the energy and communication on stage, and the diversity and ability of each member of the band. I was amazed to find this all easily translated to the album. Sometimes the bands are 'studio' or 'live', but AJ and the boys (and girl with the lovely Bryony on cello), have put out a cracker!! Can't wait for the other two albums!! The most impressive album I have heard in a long long time!